Workplace training has a major affect on long-term company success and employee development. It contributes to better worker behavior, improved production and fewer safety issues, explains Carol Merry Stephenson of the National Institute for Occupational Safety and Health. Advances in technology mean companies now can combine proven methods with new approaches to training in the workplace. In this common training method, employees sit and listen to information or advice from experts or supervisors in their areas. This works well for teaching company philosophies or providing background information on work requirements. Computers and other audiovisual tools have made it easier to train groups in this manner. Allowing employees to ask questions and share ideas makes classroom training even more valuable and also allows trainers flexibility to focus on areas of concern. Hands-on training is an experience-based approach in which a mentor or supervisor coaches the employee through tasks and job processes. Certified safety professional Shane Austin points out that this method has long worked in safety training. 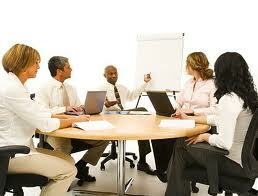 Actually going through the steps in training processes and procedures helps employees become more familiar with them. These training benefits also apply in other work activities, especially for employees who learn best by trying things. The Internet has given rise to growth in Internet-based training programs and tutorials. This includes interactive training through online conferencing or webinar solutions or virtual tutorials for self-guided training. Internet training is especially useful for jobs in which computer or Internet use is common, as you can work directly with the software or tools you use on the job. It allows trainers to work with employees at offsite locations, which saves companies training expenses and saves employees some travel time. Trainees also can complete self-guided tutorials as their own schedules permit. Some companies want employees to gain experience in a variety of roles. This makes them more valuable and gives the company flexibility in cases of absences or turnover. With job rotation training, employees spend days, weeks or months in each key department or job. This is common in management training programs so new managers learn what goes on in each functional area. Job rotation also allows employees to discover the type of work they prefer.